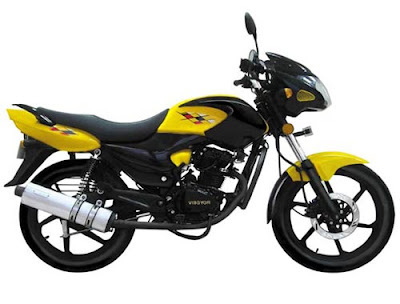 Vibgyor, the famous two wheeler manufacturer from West Bengal to gain popularity in India recently introduced two new models, Vibgyor Shark and Vibgyor Hunter. 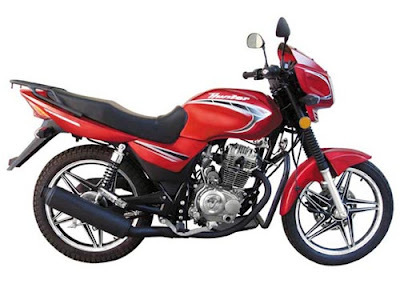 The company is already flourishing well with its previous model Vibgyor Gallop which is a 100 cc bike and plans to increase the sales all the more with its new launch. Vibgyor, the company was founded in the year 2009 by Raja Badra and Saurav Ganguly is know to be the brand ambassador of the company. These bikes are being made available in all over India without regional launch and the company is looking for dealers in various cities. Two new bikes released by the company, Vibgyor Shark and Vibgyor Hunter, accounts an engine capacity of 142.6 and 124 cc that are efficient enough of generating remarkable power and speed. Both the new bikes possess alluring looks and efficient features and is tagged with a price range of Rs. 52,000 (Vibgyor Shark) and Rs. 41,500 (Vibgyor Shark). The bikes being inculcated with latest technology acquires a kick as well as self start so as to facilitate its riders. Vibgyor holds a manufacturing facility at Dhulagori, Howrah in West Bengal and is planning to open new assembly plants in the Indian states of Gujarat, Lucknow and Hyderabad that would help the company meet increasing demands. The company with its all efficient models expects to grab a 5 percent of the total Indian Bike market soon by the approaching year.